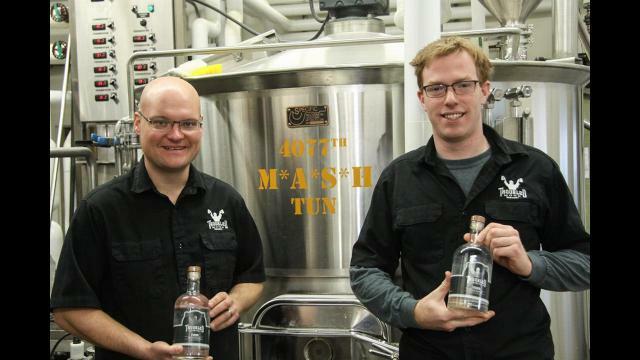 Troubled Monk Brewery recently released their very first vodka after finding success in the exploding craft beer market. Co-founder Charlie Bredo said his team hopes to inspire people with their craft. While spirits are a new venture for Troubled Monk, Bredo wasn’t concerned about taking the plunge. Bredo said the vodka is just the beginning of crafts his brewers want to try. Moving into spirits is also a way for Troubled Monk to stay competitive in an expanding market. “Breweries have exploded in the province which is good and bad,” Bredo said. “It’s good because more people are drinking about craft beer, but it is starting to be a little concerning in the sense that there is a lot of breweries.